Southwest Florida is home to some of the most beautiful and well-known beaches in the United States. Visitors from every region of the country know about the famous beaches on Sanibel Island, Naples, and Fort Myers, but these same locales offer some great fishing opportunities as well. The waters in Southwest Florida are filled with snook, mackerel, tarpon, snapper, and a host of other varieties, so there is something for everyone who enjoys baiting a hook. And because the region is such a popular destination, making new fishing buddies is almost too easy. Although freshwater fishing is possible, though limited, in Southwest Florida, the region really hangs its hat on the popular saltwater seas. Casual and professional anglers alike will find something to catch, and no shortage of local fishing shops and ocean veterans with great tips to offer, such as using live bait like shrimp as opposed to lures. 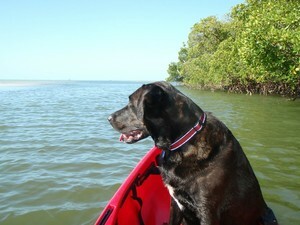 Another popular way to fish in Southwest Florida is by chartered boat, complete with a captain. Reservations are needed for most, and rates and hours should be researched, but the excitement is worth the time and investment. Most charters are kid friendly, too, and the Gulf of Mexico provides all types of fishing for all ranges of ages. And most charters guarantee everyone on board will catch something, a guarantee that is almost always fulfilled, sometimes by way of hooking a hammerhead shark. Additionally, for those who take their fishing a little more seriously, Southwest Florida also offers fishing tournaments all year round. Some may prefer sleeping beneath a sunset with a line in the water and a cooler full of a favorite beverage, but for those that enjoy mixing their fishing with a little competition, there is no better region than Southwest Florida. And there's virtually no better way to establish fishing credentials than winning a tournament in some of the most popular waters on the planet. So whether fishing from a long pier, a chartered boat, or the shore of a pristine beach, success is almost guaranteed. All that is needed is the right bait, a little patience, and a gorgeous and breezy day. Luckily enough, the Gulf of Mexico and its shores provides plenty of all three, and the cities and counties of Southwest Florida are happy to provide anything else.